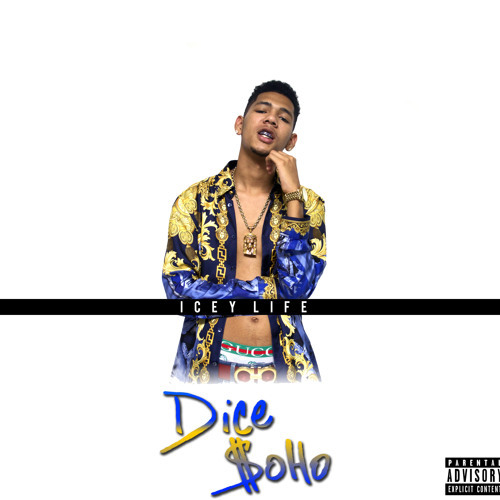 Icey Life is the second studio album by American hip-hop recording artist Dice SoHo. It is due to be independently released in December, on Icey Life entertainment and BadHabitWorld Entertainment. The album began production shortly after the release of Regular Routine in 2013. During the process, Dice gathered his go-to producers and new arsenal collaborators for production on the album, including Tha BankBoy, Willie P, Mission Control and new like Yammo, FredOnThem, Tay Keith and J Rag. Icey Life also features guest appearances from Brian Angel from Day 26, Sauce Walka, Maxo Kream, 5th Ward JP, Rizzo, Ken Rebel, fRESh A.K.A Short Dawg, GT Garza, and Trevell Hudson as well as Icey Gang cohorts Nate DaVinci.